The Surrey man was intoxicated and wearing only blue underpants and a Lions jersey when he was hit to the ground after running around on the field. Taha El Taha crossed the border into Quebec last year, and is now set to be treated for colorectal cancer with the support of his wife and children. 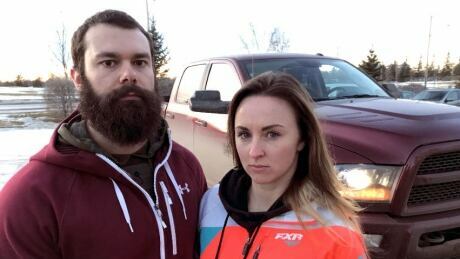 An Ontario woman says she wants the Georgia police officer who arrested, handcuffed and charged her because she had a Canadian driver's licence, to be held accountable. Rudy Giuliani, U.S. President Donald Trump’s new legal advisor, is generating more confusion than clarity on what Trump knew about payments to Stormy Daniels. Andrew Hogan had one of the most dangerous jobs in the U.S. government. As the DEA officer in Mexico, he was tasked with tracking down the drug lord known as El Chapo. Jeremy Quaile's family doesn't draw a direct connection between his death and the death of his dog. But they question why he was charged, how his case was reported, and the way so many people rushed to judge him. In a crucial meeting about the Trans Mountain expansion in Ottawa today, Alberta Premier Rachel Notley received renewed commitment from the federal government and continued pushback from B.C. Premier John Horgan — a sign the deadlock over the project is far from being resolved. 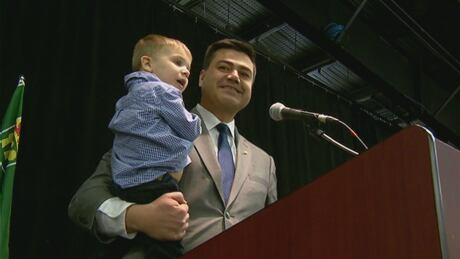 Former Saskatchewan Speaker of the House, Corey Tochor, has been nominated by Conservative Party members to run for MP for in the federal Saskatoon-University riding. Miss something this week? Don't panic. CBC's Marketplace rounds up the consumer and health news you need. Copyright © 2019 Commentable. Theme: ColorNews by ThemeGrill. Powered by WordPress.